August 13, 2015: Social media professionals know that images drive impact on social media performance and engagement numbers. Images express in visual shorthand what otherwise would take a paragraph of text to communicate. Wisely chosen images are Liked, Retweeted, and forwarded, creating viral buzz. 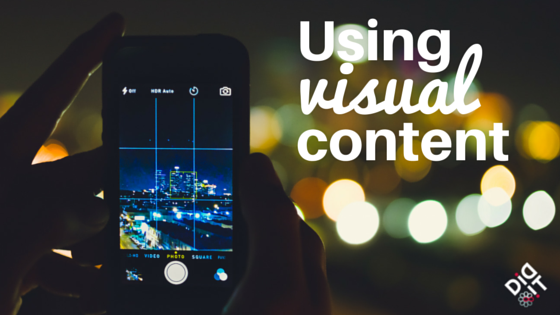 Images can deliver insights, be funny, powerful, or informative, and move people. You can’t run a persuasive social media campaign without them. But creating images designed specifically for social media distribution is different from making them for web sites or for offline purposes. Social media platforms impose their own rules. Here are 10 tips for making sure you get the most out of the images you distribute through Facebook, Twitter, LinkedIn, Google Plus, and other social channels. 1. Use 72 dpi as an image resolution. This is the standard for images on most social media platforms – not the 300 dpi standard used for print. 72 dpi is a good, bandwidth-efficient resolution that will look good on a Web page, whereas lower resolutions will look awful. Scale your 72 dpi image at 100% (actual size). Don’t upload a small graphic and try to double its size with the platform’s tools, it will look very bad after going through this process. 2. Make sure that any social media images fit the specs of the service. Images that don’t fit the guidelines of whatever specific service that you use may be cropped or resized automatically, ruining the images. Lunametrics has a great image-sizing cheat sheet infographic that incorporates the guidelines of most of the services. A good rule of thumb is 800 by 800 pixels. 3. Images need to be relevant. Avoid the temptation to use generic images just because they’re in your royalty-free clip art library. Spend the time required to find an image that makes your point – not in an overly obvious way – but in a way supporting your text messaging with visual insights. 4. Images should be mobile/tablet friendly. This means using vector images, not bitmaps. Especially in this age of responsive design, images need to be scalable. 5. Images should be less than 50K bytes. Larger images will have a higher load time, which can present usability issues — especially for mobile users. 6. Use hashtags in Twitter, G+, Instagram and Pinterest. Hashtags can direct interest to a relevant image, which in turn can drive engagement and/or website traffic . Anyone sharing content on a relevant topic can add the hashtag to their message. Others searching for that topic can search for that hashtag to find other people talking about that same topic. The usefulness of hashtagging on Facebook is less proven; in fact there is some evidence that Facebook hashtags don’t have any social media impact. 7. If copy is on the images, make sure the text is readable. There’s a good reason that successful image memes usually have text in large, white, block typefaces. It is not a best practice to keep copy separate from your image. It is, however, a best practice to have more image than copy on the image. 8. Tag images that are relevant. In Facebook, tagging an image will result in the tagged person being notified of this action and possibly (depending on the person’s settings), causing the tagged image to appear in his/her News Feed. Don’t tag images of random people to try and increase your reach. Users may greatly resent being tagged in an image that is irrelevant. Tag with discretion to avoid being perceived as an image-tagging spammer. 9. You only want one link on Twitter. You can have a link to an image, or a link to content or a landing page, but two links in a Twitter post (or in any social media post generally) is asking for trouble. You can, however, tweet more than once: once for the image and a second tweet with a link to content that has a link to the image. 10. Test, test, test. Run A/B tests on different image dimensions and formats. Find out what your fans like, and what kind of branding images work best with your campaigns. Apply a testing regime for promoted messaging. When using such things as Promoted Tweets or other sponsored messaging, making sure that image formatting and dimensions are correct is doubly as important, because the success of these posts will have a direct impact on your ROI. Make sure that you get the full bang for your buck. Let us know how these steps are helping your campaigns.